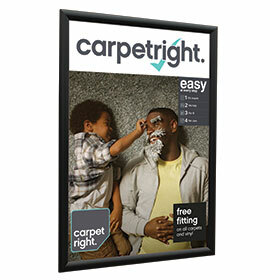 Add an architectural finish to any mounted sign panel - suitable for any wall surface, smooth or uneven! Description All your Stand-Off Sign Fixings will be sent as individual units by parcel delivery. Your Stand-Off Sign Fixings will be sent in two separate deliveries – one by pallet, one by parcel. As well as providing an attractive 'stand-off' feature for any sign panel material, these fixings will accommodate any uneven wall surface. This could include any texture or render present on brick or stone walls. Fixing sign panels forward from walls allows air to move freely across both the front and rear - eliminating condensation or any noticeable dirt build-up from behind. This is essential for clear sign materials (like glass or acrylic) so the message is always visible. Our fixings have no apparent screw heads, so this concealed mounting method acts as an effective tamper deterrent. Enhance the appearance of any sign panel. 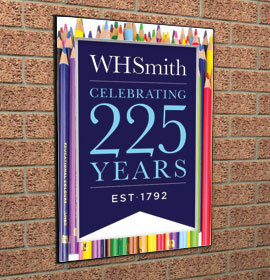 Hold sign-panel thicknesses from 2mm to 12mm. Supplied in pairs in protective polythene enclosures. Screws and wall plugs are not included (since no two surfaces are ever the same, fixings should be selected to suit). Use Stainless Steel stand-offs for long life in all external locations.